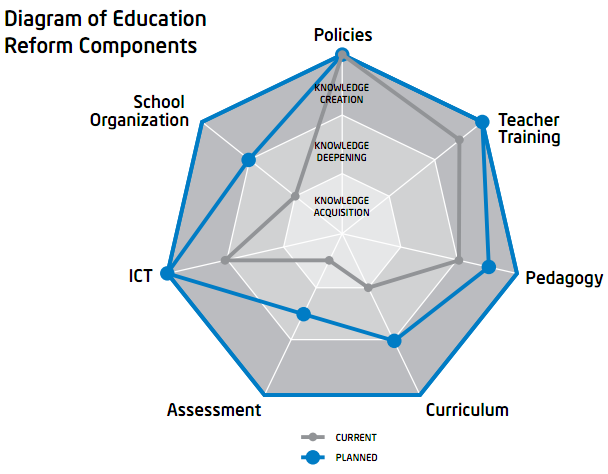 Summary on SDL n CoL.
White paper ICT, Education Reform, and Economic Growth: A Conceptual Framework by Robert B. Kozma, Ph.D. http://download.intel.com/education/EvidenceOfImpact/Kozma_ICT_Framework.pdfTable on education reform for 21st century skills, i create after reading the white paper. self directed model learner-teachers. collaborate, create, share own body of professional knowledge and practices. sound like lookang in open source physics community? students goal and local context dependent, flexible and responsive. develop inquiry, info management, critical thinking, learn to learn. Maybe a blog to info manage? build on knowledge, explore new topics, generate knowledge products, communicate with experts global ones. investigation, reports, presentations, creative works and other knowledge products. open access Blog, contribute journal paper? use simulations, multimedia, not produced them yet. hierarchical, high accountability, little autonomy. teacher rewarded by students test scores. After reading, i feel it may be appropriate to aim for knowledge deepening as knowledge creation could be on a selective part of the education reform. go through the motion PLC, worker-supervisor relationship dominant. scrap EO ranking, unhealthy for community-family spirit? The curriculum is flexible and responsive to student goals and local contexts. It emphasises the development of collaboration, inquiry, information management, creativity, and critical thinking skills. Learning how to learn is essential. How does a curriculum that supports Knowledge Creation look like? How can ICT support such curriculum? 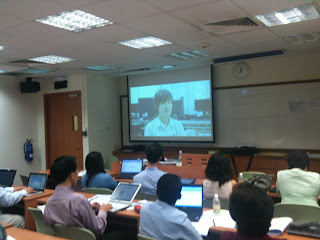 Learning Physics through Video Analysis and Modeling @ River Valley High (sg) 2010 http://weelookang.blogspot.com/2010/03/learning-physics-through-video-analysis.html. 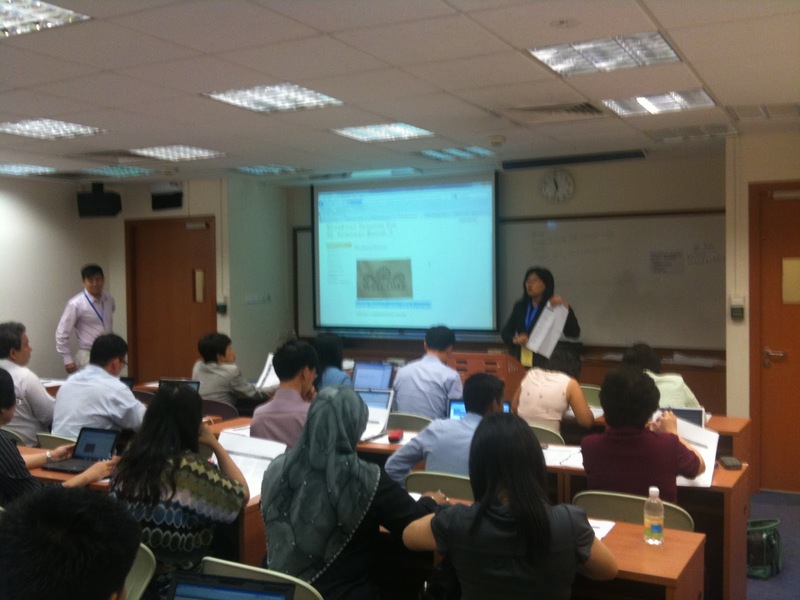 A project based learning that has the scaling resources here http://ictconnection.edumall.sg/cos/o.x?ptid=711&c=/ictconnection/ictlib&func=view&rid=82 download all. What are the essential conditions School Leaders need to put in place for such a curriculum? Prioritise and focus on one essential condition. • What are your considerations in deciding on this essential condition? get teachers to design worksheets on simulations created for students to learn from. get students to design simple simulations to illustrate their understanding on the concepts taught in school. What are some issues and challenges associated with this essential condition? students may give up authentic learning experience in favor of the usual examination score focus. Select one issue/challenge to work on. • What should you take into consideration? Rephrase the issue/challenge into a question (How…?). How do i counsel student on the need for life skills real life performance instead of pass for Acing examinations? Focus 2: Pedagogies that bring about acquisition of SDL and CoLTeaching consists of challenging students to build on their knowledge and explore new topics. Collaborative projects and investigations involve searching for information, collecting and analysing data, generating knowledge products and communicating with outside experts and audiences to share results. What scaffolds are needed for students across abilities, levels and subjects? How can ICT support such pedagogy? 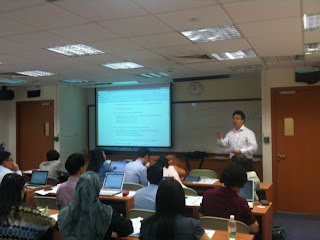 School leaders http://montfortsecprincipal.wordpress.com/, teachers http://weelookang.blogspot.com/ and students blogs http://511askmdmcheng.blogspot.com/ can be organised into knowledge management system for SDL and CoL. 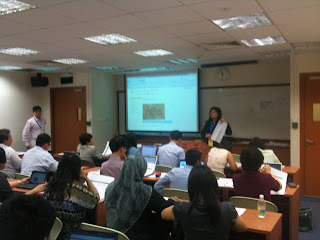 Example, Mdm Cheng's physics blog mentioned in DGE's speech. 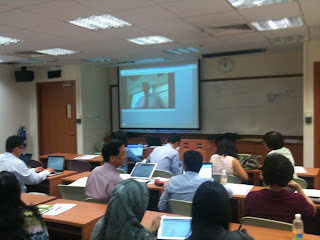 Pedagogy of doing (simulation like http://weelookang.blogspot.com/ blog) , thinking and reflective massive information on the internet can augment existing school's face to face lessons. Establish collaboration with global community of educators, experts. strong TPACK teachers to lead the use and search and development of content & resource for student SDL and CoL.
What are the essential conditions School Leaders need to put in place for such pedagogy? Focus 3: Assessment that determines attainment of 21st Century Competencies Assessment tasks consist of investigations, reports, presentations, creative works, and other knowledge products. These products are evaluated through self, peer, and public review, as well as expert review. Assessments also emphasize student goal setting and self-monitoring. 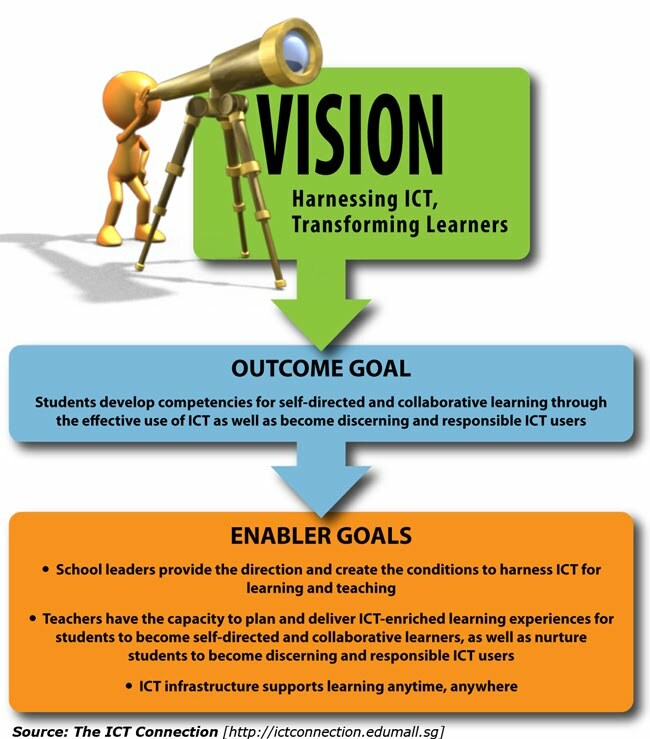 How can ICT support such assessment? assessment of learning by means of performance of tasks, e-portfolio etc. What are the essential conditions School Leaders need to put in place for such assessment? give students 1 to 1 counselling on the need for life like performance, exam is just a necessary part of the schooling experience for standardized testing for steaming purposesRephrase the issue/challenge into a question (How…?). 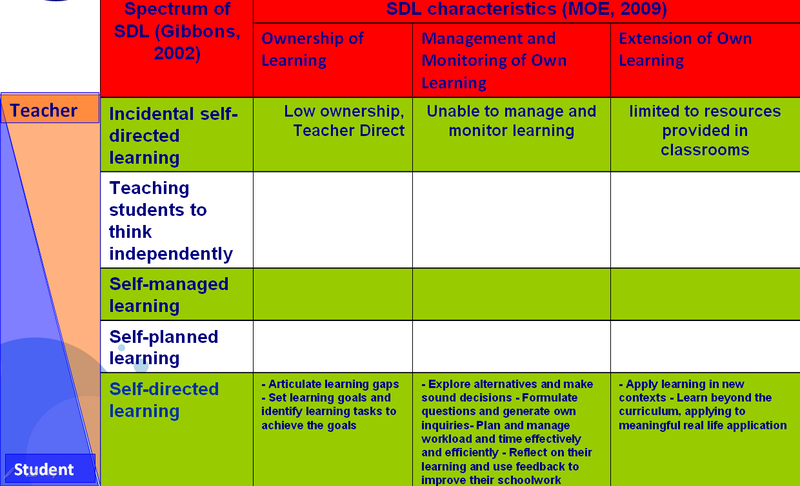 A Self Directed Learning Spectrum (Gibbons,2002) with Characteristics (MOE,2009) mapped. to enhance the SDL ownership, participants will perform one lesson learnt to apply in their school, share it during next years SL seminar if there is one. to extend, since the seminar is broad strokes, perhaps can go deep into certain reforms (physics simulations for example like http://weelookang.blogspot.com/) and share an implementation modules for others participants to do likewise in their workplace. I agree that students will learn deeply if they are the ones creating the simulations (knowledge product) but it is going to take a lot of teacher capacity to perform this kind of knowledge creation lesson. I will definitely try when i am in school as a teacher :)Some generic photo taken by m, anyone who's photo are taken, object to them been here, please leave a message and i will remove them.